Rush University Medical Center, author of the Anchor Mission Playbook published last year, is widely seen as a nonprofit hospital leader in addressing community needs. As Alex Kacik writes in Chicago Business, in 2017, Rush, working with a community coalition known as West Side United led dozens of “learning map” meetings throughout Chicago’s West Side “to learn what residents needed and how to meet those needs.” But as Kacik points out, not all hospitals are like Rush. “Without explicit rules guiding hospitals’ interventions or setting a baseline level of funding, community benefit programs and their spending vary wildly,” Kacik explains. Community benefit is a term used by the Internal Revenue Service (IRS) to denote community-based activities performed by nonprofit hospitals. 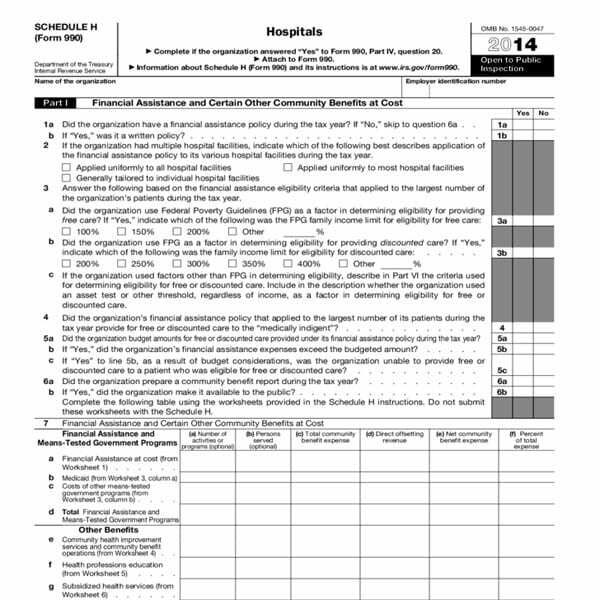 The IRS requires nonprofit hospitals to fill out their Schedule H on their Form 990 filings to detail the work they do on the community’s behalf. Unfortunately, expecting a tax collection agency to be an effective overseer of the public health benefits of nonprofit hospitals is a tall order. And most often, the existing regime falls short. But, by and large, as Kacik details, community benefit strategies still largely fail to address such social determinants of health. This is true even though up to 90 percent of all health outcomes have to do with factors other than the presence or quality of clinical care. Gary Young, director of the Center for Health Policy and Healthcare Research at Northeastern University, tells Kacik that the business model is still one that requires hospitals to fill beds, even if filling beds does little to achieve better health outcomes. “They often don’t have the resources, infrastructure or capacity to focus on broader community health issues,” Young says. Then there are the gaps in what the feds consider to be community benefit. One large category is charity care, or free or subsidized services. Other areas include “health professions education” costs, such as workforce training and development; outreach programs, including community health improvement services and direct cash; and subsidized health services and research. “It’s a vicious cycle,” Young tells Kacik. Slowly, the federal government is catching up. Last month, US Health and Human Services Secretary Alex Azar indicated that Medicaid may authorize hospitals to directly pay for housing, healthy food, or other needs that improve health outcomes. Steve Dubb is a senior editor at NPQ. Steve has worked with cooperatives and nonprofits for over two decades, including twelve years at The Democracy Collaborative and three years as executive director of NASCO (North American Students of Cooperation). In his work, Steve has authored, co-authored and edited numerous reports; participated in and facilitated learning cohorts; designed community building strategies; and helped build the field of community wealth building. Steve is the lead author of Building Wealth: The Asset-Based Approach to Solving Social and Economic Problems (Aspen 2005) and coauthor (with Rita Hodges) of The Road Half Traveled: University Engagement at a Crossroads, published by MSU Press in 2012. In 2016, Steve curated and authored Conversations on Community Wealth Building, a collection of interviews of community builders that Steve had conducted over the previous decade. Last year, Congress approved legislation to tax unusually high university endowments. This year, Sen. Grassley has his eye on the contributions of nonprofit hospitals.